GO: The Campaign for Lehigh is a historic, comprehensive undertaking that encompasses hundreds of initiatives to support our four colleges, athletics, international programs, and more. 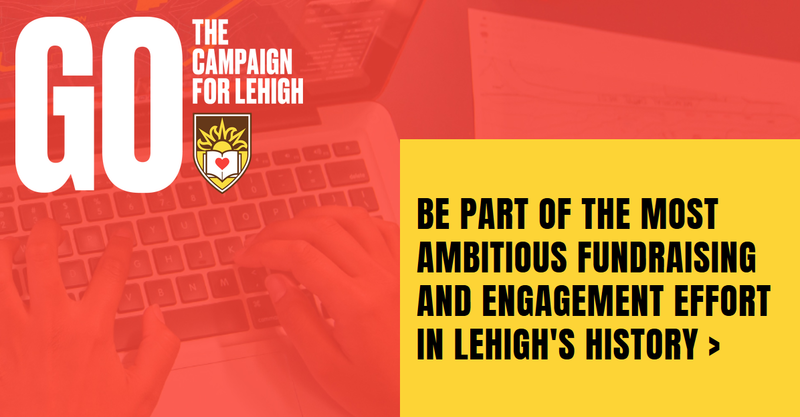 This vitally important fundraising and engagement effort will strengthen our ability to ensure talented students have access to the Lehigh experience and a vibrant environment; prepare students with powerful experiential learning opportunities necessary for success; and fuel a community of researchers and thought-leaders who drive progress. The Lehigh Libraries are an essential resource for our students and faculty -- a synthesis point where scholars connect with resources and expertise to create the products of Lehigh's educational mission. As we plan and prepare for The Path to Prominence, the College of Health, and expand our student populations we need to strategically support Advancing the Libraries at Lehigh with new places, spaces, scholarly materials, and innovative programming, enhancing and enabling the academic experience of our students and faculty. 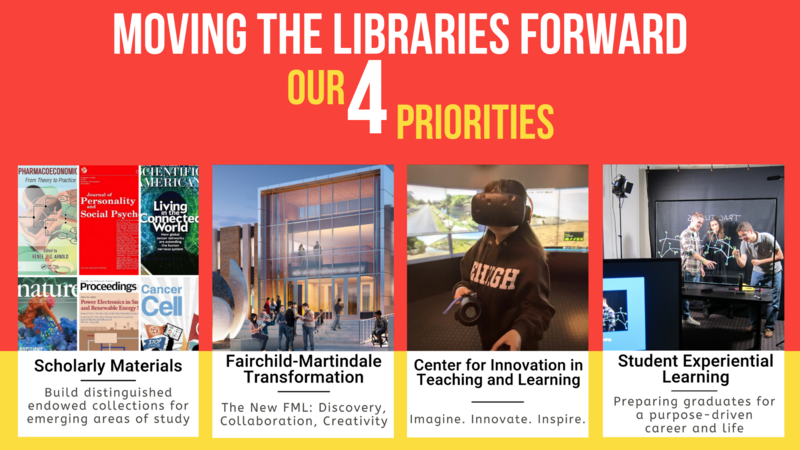 We hope you recognize the importance of giving to Lehigh Libraries, the home of research, teaching, and learning at Lehigh. Together, we can do great things! To provide your immediate support to GO: The Campaign for Lehigh, please click the Make a Gift button below. For more information on how your gift can have an impact, please contact Miki Sankary, Associate Director of Development, at 610-758-2691 or miki@lehigh.edu. Endow Library and Technology Services (LTS) student experiential learning programs that provide students with paid on campus professional experiences in teaching, consulting, and technology support.